It looks like that is because, inexplicably, you've made a separate file for each individual macro control. 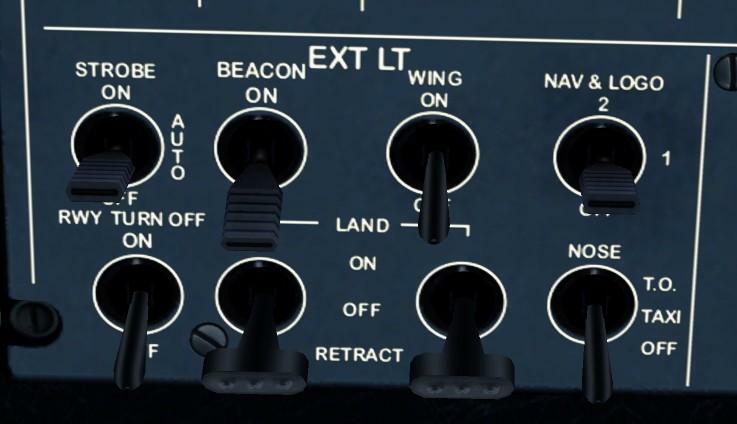 The idea is to make all the macros for one aircraft, or rrather one cockpit type, in sequence so they all go nto one file. That's why there's a separate "Start" and "End" macro making action in the Options. I have, afterwards, try to put all macros made for a special A/C in there own map but when I move macros from "Modules" map to a specific created A/C map my e.g. A319 can not see any macros. I really don't know what you mean by this. How can I create space for more macros when I reach the 127 limit? You can't. You need to take all the macros you made for each single aircraft and put them all in one MCRO file for that aircraft or aircraft type -- eg FA18.. You'll have to renumber them all to do this, which means you'll need to reassign them all. Do I interpret you correctly that I can use one macro file that contains several different keystrokes with several different functions APU, Crank, Fuel, ext. lights, int. 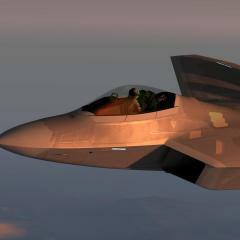 lights, eject, landing gear, weapon system, avionics and more? In that case, one macro file per aircraft will suffice. Exactly. That's the idea. You are supposed to make all the macros for the aircraft in one session, or at least all for each major part of the cockpit. You can add more later just by specifying the same macro filename. But normally it is far quicker and easier just to click "start macro making", specify the name you want, then make yor macros for every switch you want. Only when you've done go back to the options and click "end macro making" which will save the file and make the macros visible in the assignments. c) once you've done you'll need to reassign them all because both the file number and the macro number will change. After about 5 mouse commands the whole cockpit freeze and I can not move anything except from my Chase-Plane cam. When I ended the macro editor and vent back to my cockpit everything works normal. Unfortunately I have no aircraft with a cockpit worth setting mouse macros up for, though I suppose i could try it on one of the default aircraft. Perhaps John could try this. I'll ask him to take a look. Can you remind us what you are using -- is it P3D4 with FSUIPC5.151? Could that ChasePlane actually be contributing to this, do you think? is it possible to try without it running, just to see? A list of other add-ons you are using would be useful too, please. Unfortunately I have no aircraft with a cockpit worth setting mouse macros up for, though I suppose i could try it on one of the default aircraft. Perhaps John could try this. I'll ask him to take a look. Can you remind us what you are using -- is it P3D4 with FSUIPC5.151﻿? How can I create a macro function executing a 6-detent movement with only 2 button (e.g. A319 landing and taxi lights. On-Off-Retract)? That's 3 positions not 6. You have to have one button for "on-off" and the other for "retract-off". For the two separate ones, if you want to operate them separately, then you'll either need two more buttons, or you'll need a Lua plug-in to work something out by program. That's three actions executed in sequence with one assignment. The FSUIPC freezing issue is a minor issue maybe not wort to investigate any deeper. Well, it is worrying -- if, in fact, it is FSUIPC. Does everything else carry on normally? You said you can complete the macro making, which means you can go back to the menu. Perhaps rather than freeze you meam that it doesn't want to make further macros then? still serious to e, but not the same level. All controls in the cockpit freeze but went back to normal after ending the macro editor. Hmm. It could be a P3D bug. I doubt if any software other than FSUIPC uses the extra things L-M put in for the mouse macro making facility. John or I will look at it later in the week.